For any of you wargamers, toy soldier enthusiasts, and dioramists that plan to visit Gettysburg this summer or autumn, I would recommend that you stop at Gettysburg’s leading stores that cater to the hobbyist. For toy soldiers or wargame figures, see John Zabawa’s Gettysburg Miniature Soldiers on Steinwehr Avenue and / or Charlie Tarbox’s Toy Soldiers, a little farther north of John’s store. 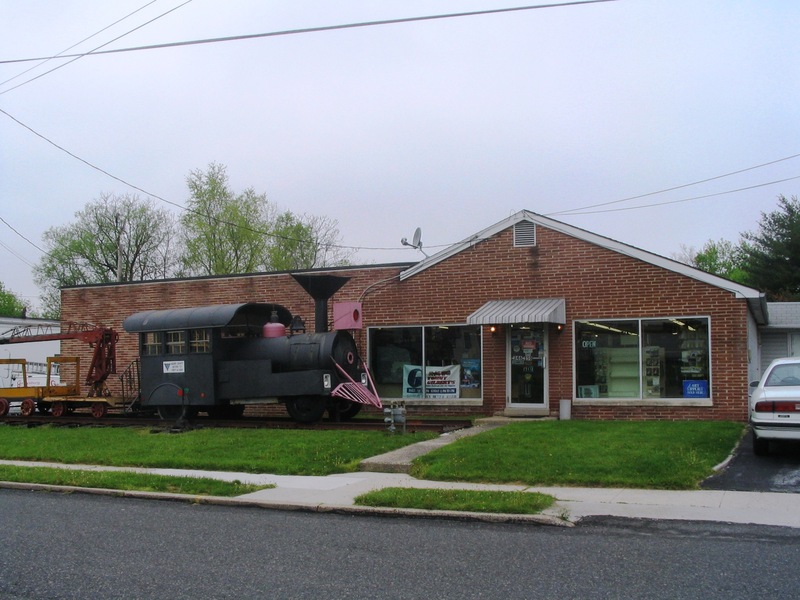 For modeling supplies, the best place in town is Tommy Gilbert’s Hobby Shop on Water Street (parallel to the railroad tracks a block north of U.S. 30). 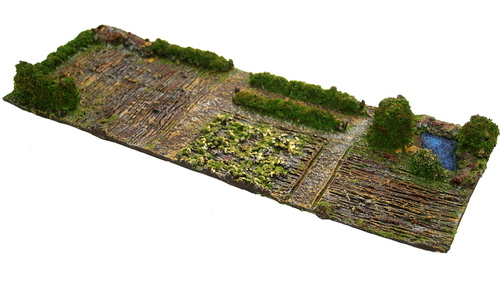 Tommy carries a complete line of Woodland Scenics terrain items, including flocking, ground cover, foliage, talus, model trees, and the like. He also carries other model railroad supplies that are usable for the wargamer or dioramist. The toy soldier set that got me started with my love for the Civil War and miniature wargaming – the granddaddy of them all. 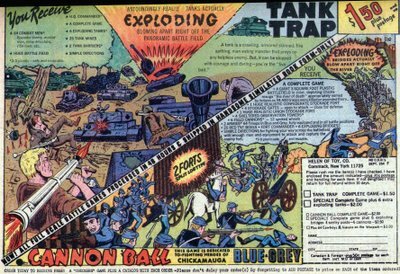 This dealer was selling a complete set of the Giant Marx Battle of the Blue & Gray playset for a little more than $1100. I still have many of the pieces from my own set, which I received for Christmas in 1963. I spent Sunday afternoon tramping around Gettysburg, one of my favorite pastimes. As I was driving into town along York Street (U.S. Route 30 / The Lincoln Highway), I was surprised to see the trailer for Belle & Blade, one of my favorite purveyors of vintage military-related movies, music, posters, hats, and shirts. Curious as to why they were in town when there was no wargaming conventions (where I am most used to see them), I proceeded to the town square, where I parked and noted a sign for the 1st Annual Gettysburg Toy Soldier Show at the Gettysburg Hotel (the McClellan Hotel at the time of the Battle of Gettysburg in 1863). I spent a couple of very pleasant hours tramping around the dealer hall and the separate manufacturers room, as well as the always impressive Belle & Blade racks of old movies. I ran into several old friends, including a couple of extremely talented wargaming pals of mine, two guys I really like despite the fact they always roll extremely well when whipping me at Johnny Reb 3. LOL! 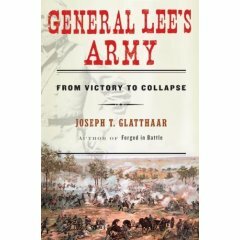 When I was asked to review Joseph T. Glatthaar’s latest book, General Lee’s Army: From Victory to Collapse, my first impression was, “What? Yet another book on the Army of Northern Virginia?” While not as abundant as books on Gettysburg or Abraham Lincoln, there have been plenty of previous works that dealt with Robert E. Lee and his men. However, this new work quickly changed my mind. It is, quite simply, the most complete overview ever written on the Army of Northern Virginia. Brilliantly researched, using a variety of primary sources not often used in other contemporary works, this book offers page after page of fascinating new information that adds depth to the historiography of Lee and the Army of Northern Virginia. Your language and word selection says a lot about where you grew up and your heritage and influence of your parents, family, and friends. A quick and easy little quiz that is fun to take will give you some clue as to your cultural leanings. Even though I was born and raised in southern Ohio, I scored 68% Dixie on the quiz. Then again, southern Ohio does have strong Southern tendencies, and the Copperhead movement was quite alive and well there in the Civil War, as well as the KKK following the war. Take the quiz and see if you are a Yankee or a Rebel! Midwest Civil War show in early May! For many years when I lived in Ohio, I used to drive from the Cleveland area down to Mansfield for the annual Civil War show at the Richland County Fairgrounds. I made the drive back a couple of times after I moved to York, PA, as my father still lived in SE Ohio and one of my sons was in college not far from Mansfield at Mount Vernon Nazarene University. 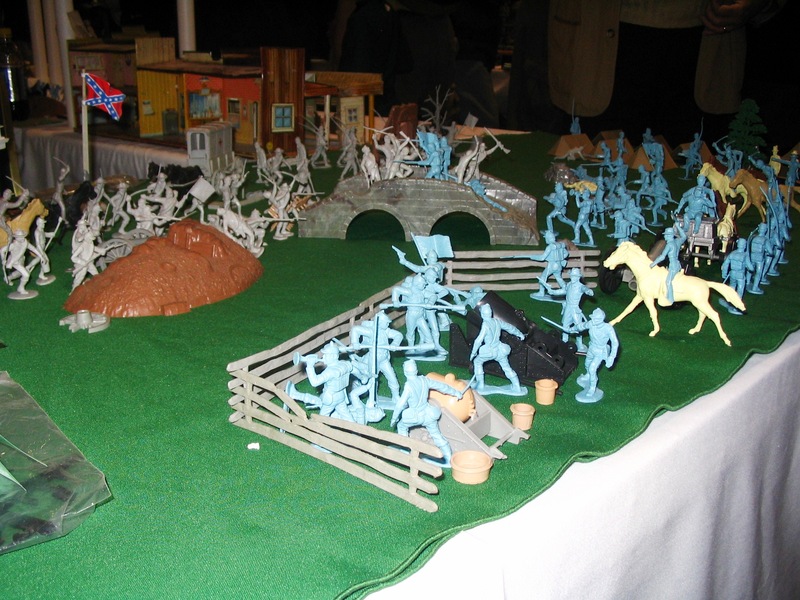 This year marks the 31st Annual Ohio Civil War Collectors Show and 16th Annual Artillery show. For those of you who live in the Midwest, this is an excellent show that you have to see at least once to appreciate. It sprawls across multiple fair buildings, and features antiques, ACW relics and artifacts, photographs, letters, diaries, vintage and modern books, autographs, and many other goodies too numerous to mention. I have some great memories of my Dad and I tramping around the fairgrounds, watching the artillery demonstrations, listening to my favorite musical group (the 2nd Carolina String Band), and perusing the thousands of items for sale. This year’s show is May 3 and 4 in Mansfield, Ohio, at the Richland County Fairgrounds (located on U.S. Route 30 with easy access from I-71 between Columbus and Cleveland. Take the Trible Road exit; the fairgrounds is at 750 North Home Road). More than 100 of the finest ACW dealers in the USA will be present exhibiting and selling their wares. 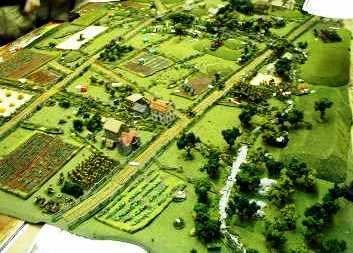 Back in the late 1990s, when I still lived in the “snow belt” northeast of Cleveland, Ohio, I sent away for several finished rubber terrain pieces from an Australian company known as Miniature World Maker. They were well done and ready to throw down on the gaming table, and my kids and I got a lot of initial use from them as is. I wrote an article on the company and its products of the time for the now defunct magazine, The Zouave, which started my relationship with its publisher, Ivor Janci, who I now consider a good friend. (Ivor and I of course are now collaborating on yet another full-color scenario book, this one for Brother Against Brother.) Miniature World Maker was kind enough to help sponsor a wargame of mine at HMGS-Great Lakes’ annual Advance the Colors gaming convention then held near Dayton, Ohio. 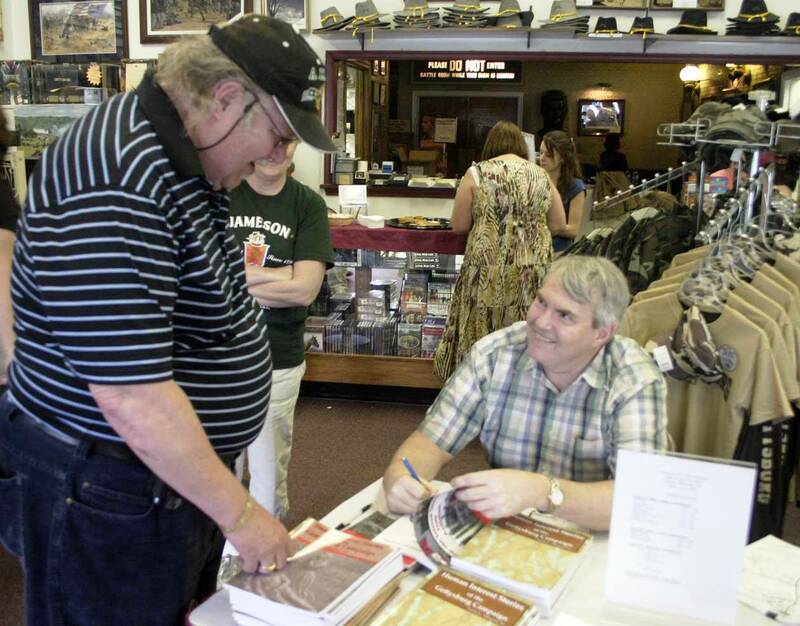 Wargamer and Gettysburg buff Billy Ray Wagenseller greets author Scott L. Mingus, Sr. at the 4/19/08 book signing during the History Meets the Arts spring festival. Photo by Curt Daniels taken at the Gettysburg Gift Center. Gettysburg annually holds a spring festival known as History Meets the Arts, a celebration of historical art, music, literary accomplishments, and other arts. Artists such as Dale Gallon, John Paul Strain, Keith Rocco, and many others were present yesterday, and attendance throughout the town was exceptional. The combination of glorious weather, some big-name artists, the first weekend for the new Visitors Center, and good advertising helped boost attendance versus last year’s wind-blown freeze-fest. Maryland author Bradley Gottfried and I signed books together in the afternoon. He is quite a gentleman and a very nice guy, not to mention an extremely talented cartographer and writer. His latest book is entitled The Artillery of Gettysburg, and seemed to be selling well, along with his other titles such as The Maps of Gettysburg. I sold quite of few of my three books, and thoroughly enjoyed the conversations with Brad and with many of my friends who stopped by. HMTA continues today in Gettysburg. A French & Indian War reeenactor camp site replete with a small fort are highlights of the main display at the Fire Hall, as well as the impressive array of original painting by a host of talented F&I artists. There is no admission charge for this annual event. 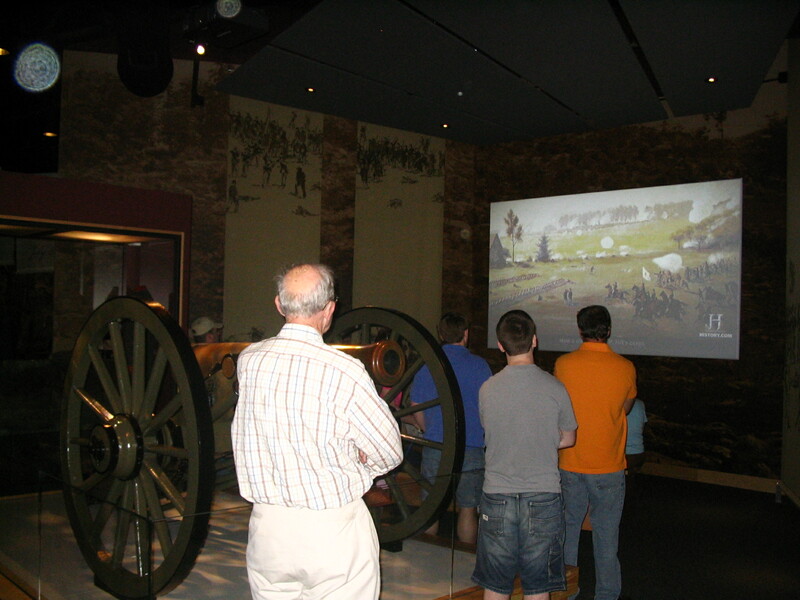 Throngs of tourists packed the new Gettysburg National Military Park Visitors Center on its first Saturday in operation. I was in Gettysburg yesterday as a guest author to sign books at a couple of places, including the Gettysburg Gift Center / Wax Museum. Afterward, my son Tom and I drove over to the new Visitors Center to check it out. There are three significant parking lots for cars, as well as a separate one for buses and RVs. All are a healthy walk from the VC entrance, but not so far as to be an issue for most individuals. 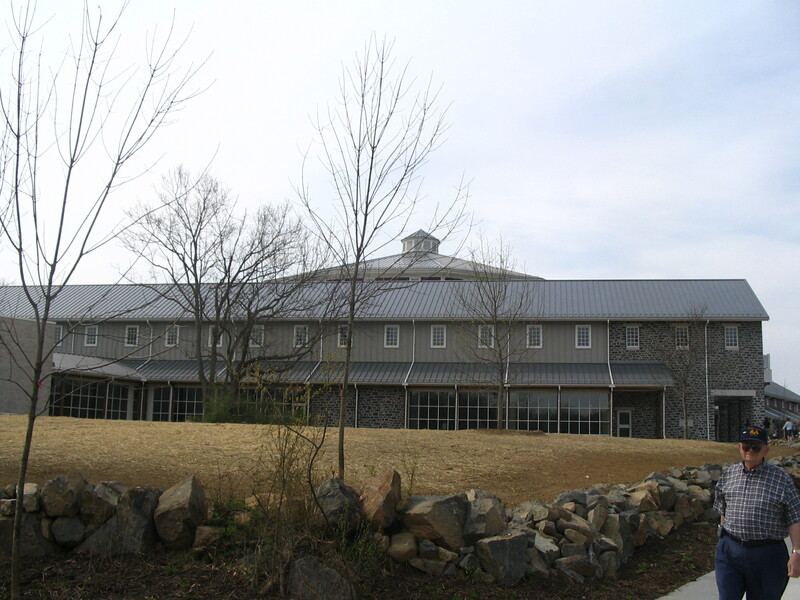 The building itself is in a style that is reminiscent of the farms of the region, with a gray stone morif for the “farmhouse” section and a red wooden look for the “round barn” section. The architecture works, as does the overall layout of this sprawling facility. My 15mm layout of the fight for Barlow’s Knoll at Gettysburg. A year or so after I moved to Pennsylvania from the Ohio snowbelt, by myself I drove up to the Poconos to a village called Wind Gap to attend a gaming convention and to present a 15mm wargame of Day 1 Gettysburg assault by Jubal Early’s division and Doles’ Brigade on the Union XI Corps along Rock Creek. It took much longer to drive there than expected due to massive road reconstruction and repairs, and I was tired by the time I arrived and not feeling well. The con was in a nice little, well-lit American Legion banquet hall, and there were plenty of cars in the parking lot. So far, so good, I thought as I opened the trunk of my new Chevy Malibu and began piling my boxes full of gaming items onto my cart. Halfway into the hall, one of the boxes slipped off the dolly and some of the contents broke. Not a good beginning, I mused. The Helen of Toy company widely advertised their Civil War figures (knock-offs of the Giant brand) in boys’ comic books in the 1960s. I answered the above ad and still have these little ACW figures forty years later! Does anyone remember the Giant brand of miniature plastic Civil War toy soldiers? They were approximately HO 1/72 scale, and were molded in Hong Kong using fairly sturdy plastic that has held up 40 years later, with very little cracking, stiffening, or breakage. I had hundreds of these little guys, which made up my first miniatures army before I switched to lead-pewter alloy figures. Many of the figures used the same poses as the 54mm Marx Civil War playset figures, only in a much smaller scale. I remember buying these figures at various times over a 3-4 year period with money I earned from chores (money that I had left over, that is, after buying baseball cards and DC Comics!). Some of the Giant figures came in plastic bags (an unsually heavy vinvyl bag IIRC), and others were on blister packs with colorful backgrounds.